From simple standalone to integrated networked hardwired or wireless systems, our top-of-the-range burglar alarms offer a dual benefit: acting as a deterrent to intruders, and providing early detection of onsite intrusion for residential, commercial and government properties. 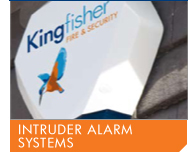 We use only the best detection equipment, fully evaluated and tested, which virtually eliminates false alarms. Every system is installed to PD6662 incorporating BS4737 and the latest European Standards (EN50131- 1) and certificated by the NSI (National Security Inspectorate) to NACOSS Gold Standards. 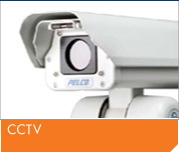 Our complete range of CCTV systems will meet the requirements of almost every application you may have for video observation from black and white (Mono) to true Day/Night high definition colour / mono cameras and the very latest in digital recording (DVR’s) as well as more specialist requirements such as Intelligent Video Analytics including Number Plate recognition (VNPR & ANPR), Traffic and people data Every system we design sell and install is certificated by the NSI (National Security Inspectorate) to NACOSS Gold Standards. 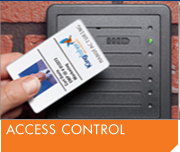 Access Control is a great option for added security and peace of mind, only allowing approved staff to access your premises, and securing ‘authorised-only’ areas from unwanted visitors and staff. Generally access control falls into two categories, electronic controlled access using cards, fobs, pins etc and audio / visual entry systems. Each system can be operated individually or combined to meet the requirements of the client and can be standalone or networked depending on the client requirements. 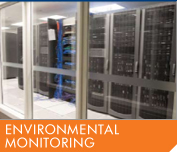 Leak detection, temperature and plant control and monitoring are just a few examples of the ways we can help protect your business, home and most valuable assets. Such systems can either be standalone or integrated, depending on the complexity and size of the building.